The French pâtisserie carries a spread of sweets for your picking, but its made-to-order soufflés are reason enough to return. 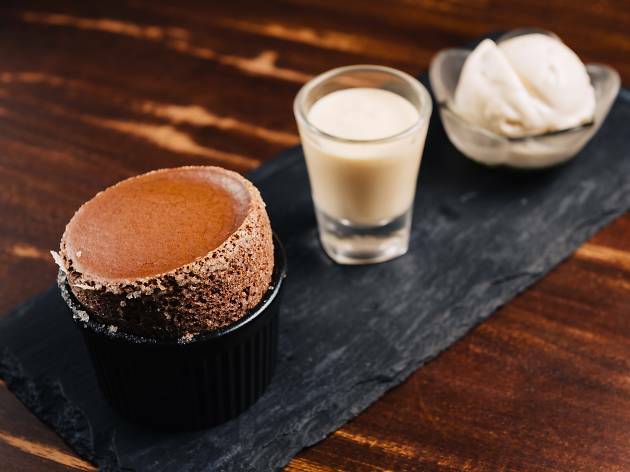 The Guanaja Chocolate option ($18.50) does no wrong – it’s decadent but retains the texture of a good soufflé, with gently bitter notes to cut through any cloyingness. 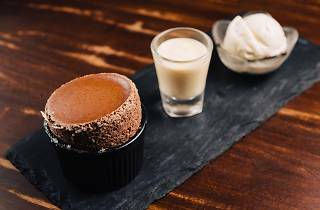 Crack the top of your soufflé, drizzle a little sauce into its aerated centre, then tuck into mouthfuls of the warm chocolatey stuff. We each had a cake and I had a coffee. We split the cakes and my god... I have eaten in a lot of places all over the world and the cake I had here is on a par with the best I have ever had. Incredible cake and not over priced either. But plain old rude, arrogant and horrible. No wonder why their reviews are all.so.consistently.bad. Actually, I'll take back what I wrote above. I can't even see how they can even be retail-focused when most of their products are not on display. They expect customers to just cruise in and make purchases without even bother to provide information on how the product looks like. I just went to order a Christmas chocolate log cake. Not only did they not have one on display (which is completely fine), no photos are available. When inquired, Laurent Bernard himself, as the BRAND that represents his products / outlets in Singapore, simply shrugged very rudely and arrogantly without saying a word, as if I am wasting his time. That was followed by slamming the glass door at my face (!). No wonder why this outlet is constantly empty. I guess he is probably just frustrated. Well, to Laurent Bernard - sincerely wish you a good year ahead, as you guys may truly need it with this kind of service you are providing. Never go there unless you have a fetish for bad service. BTW, check out their facebook page - there has clearly been a history of abusive behavior towards customers.